Advancis exhibited at the stand of our partner Afrisec at Securex West Africa 2019 in Lagos, Nigeria on 16-17 April, 2019. Securex is West Africa’s primary exhibition for security, fire and safety systems. 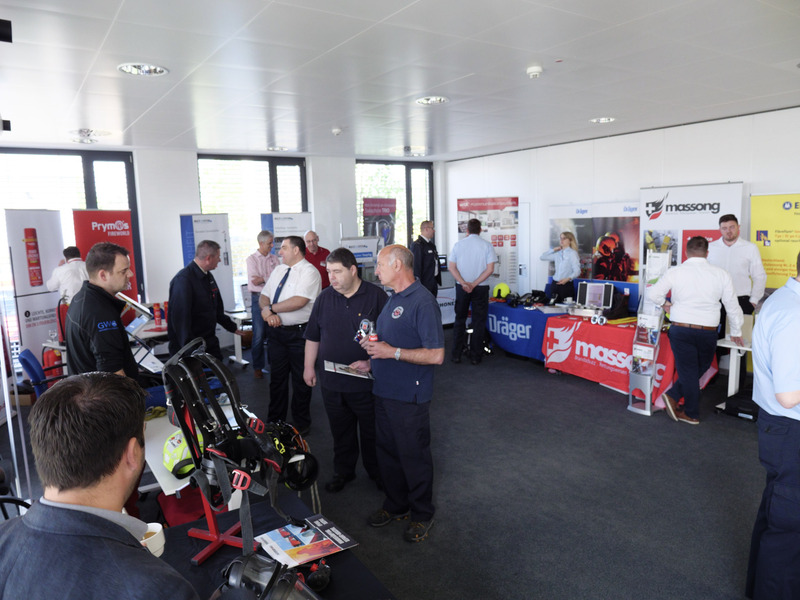 The event welcomed over 2500 professional visitors who came to see the latest solutions in information security, homeland & commercial security as well as fire & safety. We would like to thank all visitors who came to our stand. Jan Meiswinkel, CEO at Advancis, was part of The Security in Practice Theatre at The Security Event in Birmingham. The experts in discussion were John Davies (TDSI), Andrew Sieradzki (Buro Happold) as well as Neil Bennett (Partner-Farrells). 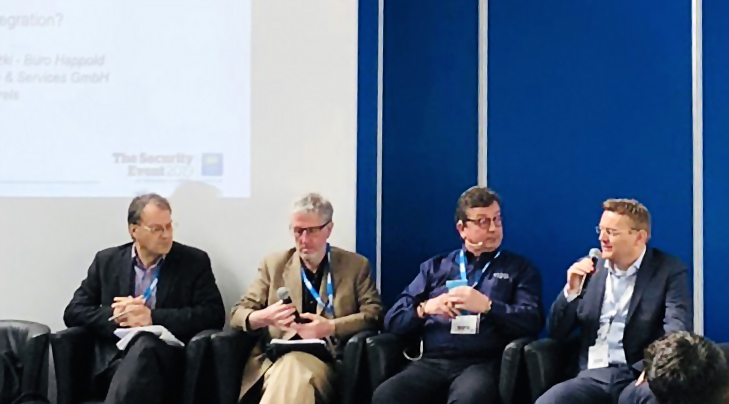 The panel analysed how to add value with integrated security from concept to commission and explored the impact of technology developments alongside effective assessment of security requirements. Advancis, manufacturer of the vendor-neutral PSIM platform WinGuard, is aware that there are always two groups to be considered: on the one hand, there is the end customer, but on the other hand also the integrator/installer. BIM (Building Information Modeling) is a good keyword, as it can be used for detailed planning before implementation of a PSIM system, so that all the subsystem installations and their processes are well-prepared during the planning phase and can then, in the operation phase, be automatically taken over into the PSIM platform, e.g. by autoprojection. The integrator is as important as the end user of the PSIM system. Currently, the integration processes take a lot of time and the staff realising them has to be very well-trained. Target is to simplify and thus shorten the integration time by automatising more and more steps of the installation process. The integration of lots of sensors and the related data management and evaluation for predictable events is a challenge, but also a chance to improve processes and performance. KPIs can be set and adapted individually for each customer. 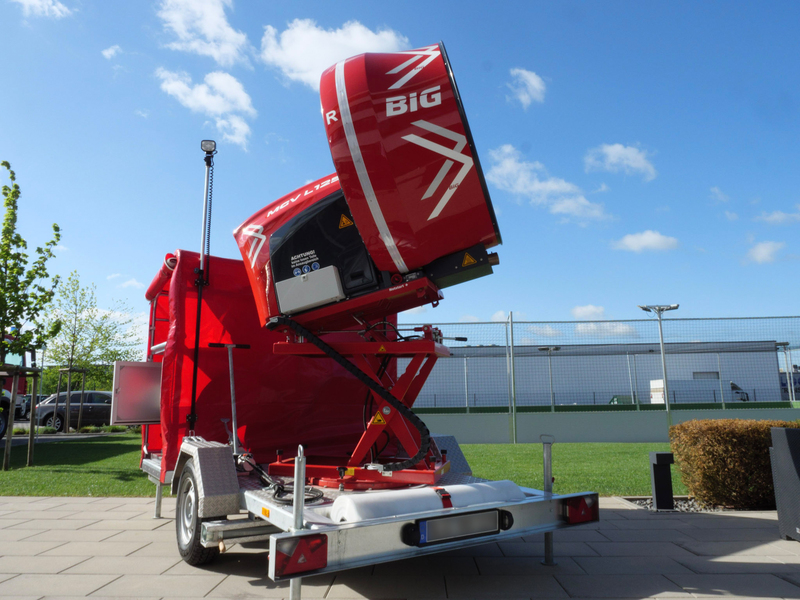 Furthermore, the collected data can also be used for predictive maintenance and to predict incidents. It is required to inform and train users on the collection, maintenance and evaluation of these data and how they can use it to optimise their internal processes. 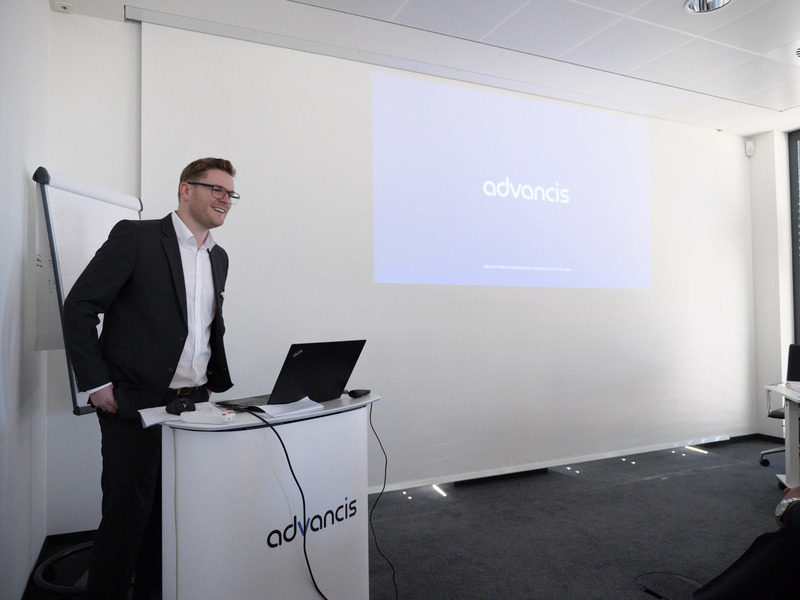 Since April 2019, C&C Partners based in Leszno/Poland is new CWI partner of Advancis. During their visit to Advancis HQ in Langen, Artur Hejdysz (CEO) and Wojciech Stroiński (COO) were awarded the prestigious CWI Partner Certificate from Jan Meiswinkel, Advancis CEO and Patrick Geldmacher, Advancis International Sales Manager. The certificate attests that both companies closely collaborate for WinGuard command & control system projects as well as for the provision of related services. We are very pleased to work with such a comprehensively experienced and technically proficient partner and look forward to a mutually successful relationship with C&C Partners so that we can both expand business opportunities in Poland. AVS Systeme AG based in Hünenberg/Switzerland has been an official Advancis system partner since end of 2017. In February 2019, Kai Eckstein from Advancis visited AVS Systeme AG and handed over the current partner certificate for this year to Andreas Lustenberger, Sales Manager Control Room, and Alexandra Rufibach-Kempf (Key Account Manager). The existing partnership will be further strengthened in 2019 in order to jointly develop sophisticated system concepts for projects in the region and to offer suitable solutions. Advancis is looking forward to the further collaboration with AVS! End of 2018, NTA Systemhaus GmbH & Co. KG based in Mainz has become a new System Partner. During his visit to Advancis, Kai Hardt, Sales Director Security Technology at NTA, received the official System Partner Certificate. We look forward to the successful collaboration and to further interesting projects with this qualified WinGuard System Partner! Erich Keller, AG Neovo & VuWall will present their innovative control room, display and video management solutions as part of the booth of Advancis Software & Services GmbH at the Security 2018 trade fair in Essen, Germany. More than 1,400 realized installations in different application sectors, worldwide area representations as well as numerous certified integration partners make Advancis one of the international market leaders in vendor-neutral Physical Security Information Management (PSIM). The Advancis booth no. 8A20 in hall 8 offers interested visitors the possibility to discover the advantages of the open PSIM platform WinGuard in a real control centre environment: A space of 150 m² provides numerous workstations. In addition, two large and state-of-the-art video walls of AG Neovo/Vu Wall as well as professional desks of Erich Keller create a real control centre environment to experience both the technical innovations and the comprehensive operating comfort offered by a perfectly equipped control room. Visit us at Security in Essen! An ergonomically designed workstation improves the concentration and motivation of employees. Erich Keller AG plans and manufactures complete furnishings for monitoring centres, command centres, control centres and alarm centres. All the desks and display walls are modular and convince with best-of-breed flexibility and ergonomics. They are ideally suited for 24/7 use. In addition to high-quality workstations, Erich Keller also offers impressive holistic solutions in the areas of room planning, interior furnishing and air conditioning. AG Neovo is a world leader in professional display solutions. Founded in 1999, the company is headquartered in Taipei, Taiwan. The products are predestined for markets such as CCTV, digital signage, industry, control rooms and public environments. For this purpose AG Neovo offer patented innovations such as the NeoV® protection and filter glass, Anti-Burn-In® and AIP® as well as a customer and project-oriented market conception like the 24/7 design of the key products. VuWall Technology a developer of world-class video wall management software, has built its reputation on delivering state-of-the-art controllers and intuitive collaboration software for the intelligent control of video walls. The VuWall Ecosystem will be extremely beneficial to integrators who want to provide an outstanding control rooms experience to their customers. VuWall also develops products for presentation areas and corporate markets as well as AV network management solutions. The company is headquartered in Montreal (Canada), has European Offices in Tübingen, Germany and is serving customers in more than 40 countries worldwide. 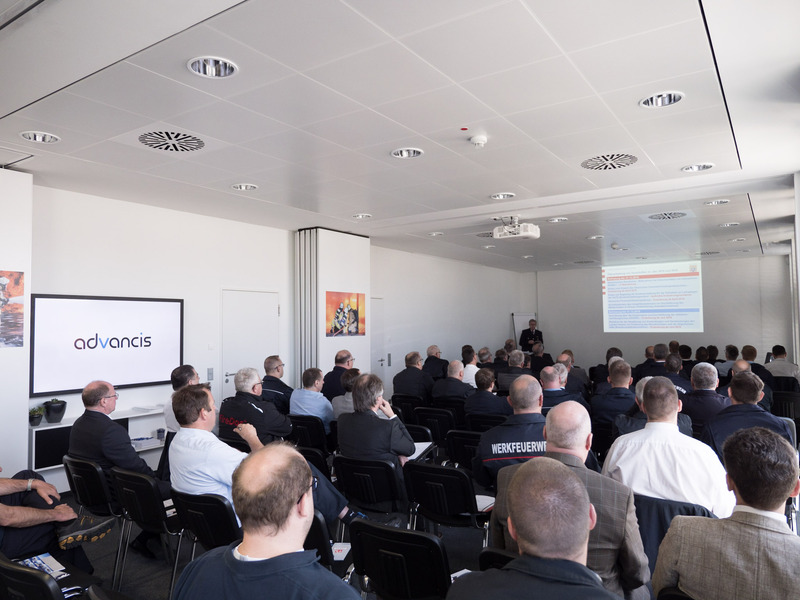 The readers of the magazine PROTECTOR and the users of the online portal sicherheit.info made their decision: Second winner in the category PSIM is the functional module “Control Operations” by Advancis. It is a concept for reliable control management of security-technology systems (arm/disarm, disablements/re-enablements, revision on/off, etc.). If, for example, fire detectors are not disabled during the execution of welding works, false alarms might be triggered. If the re-enablement after completion of works is forgotten, the non-detection of a real fire would have drastic impact. Therefore, the complete process should be digitalized with the help of the module. Via web forms, the disablement and re-enablement can be requested. Furthermore, all involved parties have online access anytime to the control operations planning or the current detector status. In the defined period, the target status will be monitored, so that third parties cannot perform any unnoticed changes directly at the systems. 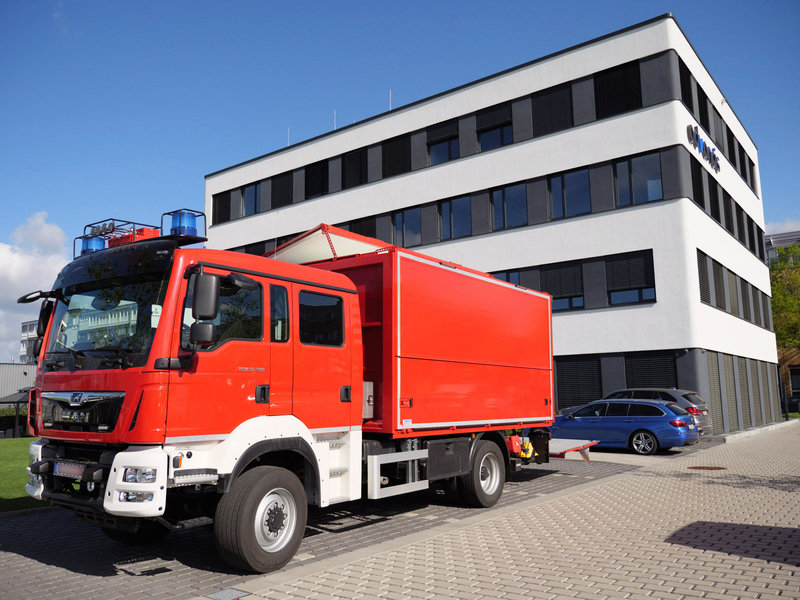 The module serves for reduction of false alarms and for the secure detection of hazardous situations, so that also costs and resources for unnecessary operations will be saved. An effective process chain is the result. 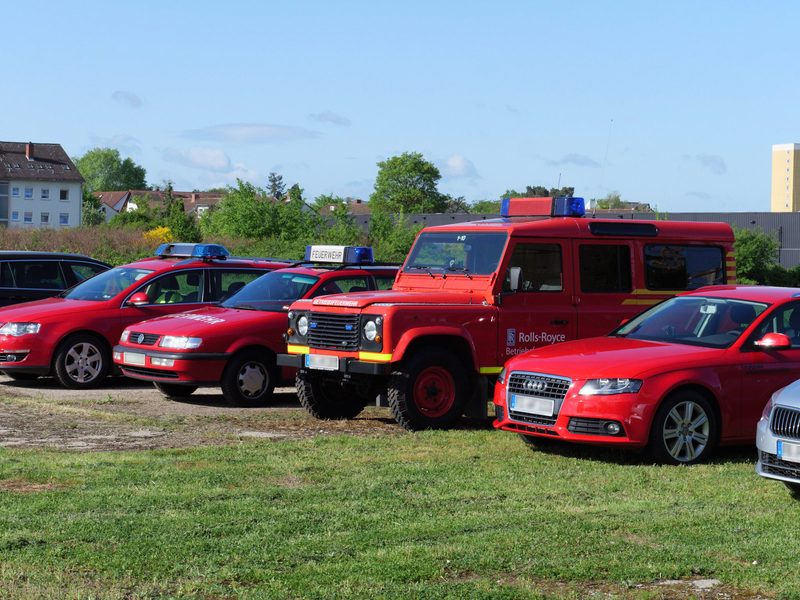 Due to the reduced communication and the digitalized processes, the personnel in the control center can concentrate on important alarms and emergencies. On 27 June 2018, Jan Meiswinkel, CEO of Advancis, received the award personally at the SicherheitsExpo trade fair in Munich. We would like to thank you very much for your vote! Advancis would like to congratulate SIKOM Danmark to their new status as CWI Partner GOLD. Last week, Morten Hansen, Sales Director of SIKOM, received the official certificate from the CEO of Advancis, Jan Meiswinkel. We are glad that SIKOM as a strong partner in the region has already successfully realized numerous WinGuard projects and are looking forward to the further collaboration with this professional partner! PROTECTOR Award 2018 – Vote now for Advancis! For the sixth time, PROTECTOR & WIK as well as Sicherheit.info present the award for security technology. With its functional module “Control Operations”, Advancis is one of the candidates for the PROTECTOR Award 2018 in the category Physical Security Information Management. Advancis offers the functional module “Control Operations”, enabling reliable control management of security-technology systems (arm/disarm, disablements/re-enablements, revision on/off, etc.). If, for example, fire detectors are not disabled during the execution of welding works, false alarms might be triggered. If the re-enablement after completion of works is forgotten, the non-detection of a real fire would have drastic impact. Vote here for the innovative functional module “Control Operations” by Advancis” The voting is still possible until 08 June 2018. Many thanks in advance for your vote! https://advancis.net/wp-content/uploads/2017/11/advancis_logo-300x138.png 0 0 thorben.kreis https://advancis.net/wp-content/uploads/2017/11/advancis_logo-300x138.png thorben.kreis2018-05-16 17:29:502018-05-16 17:51:25PROTECTOR Award 2018 – Vote now for Advancis! 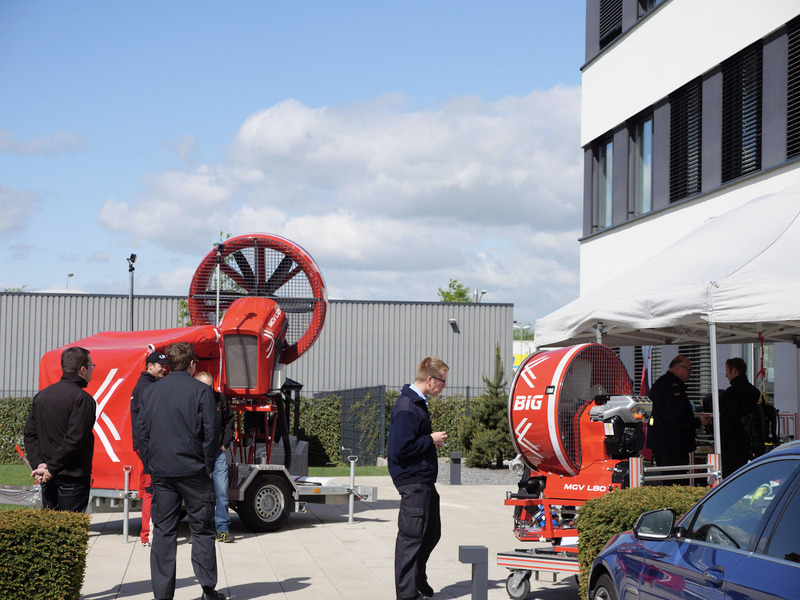 On 26 April 2018, the spring conference of the Hesse Plant Fire Brigade Association took place at Advancis in Langen. 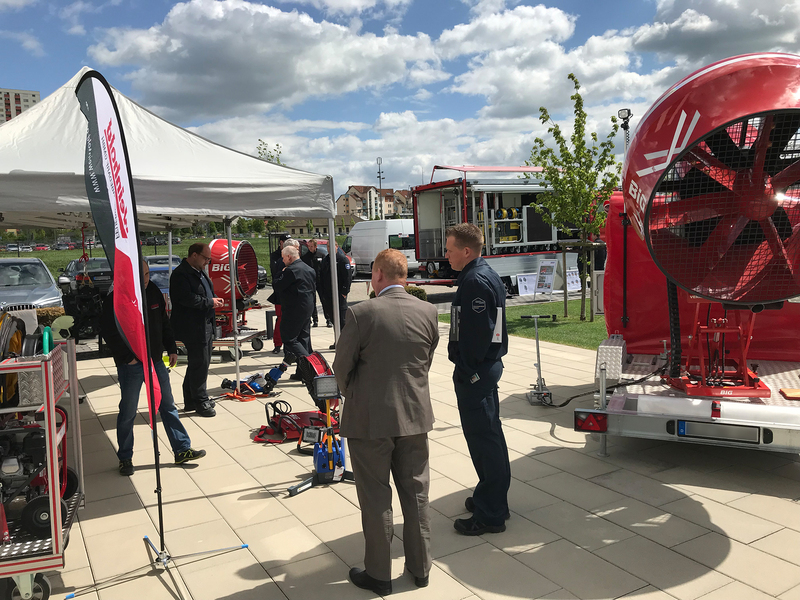 We were pleased to welcome over 80 participants and 15 exhibitors both inside and outside our building, whilst the weather conditions were perfect. 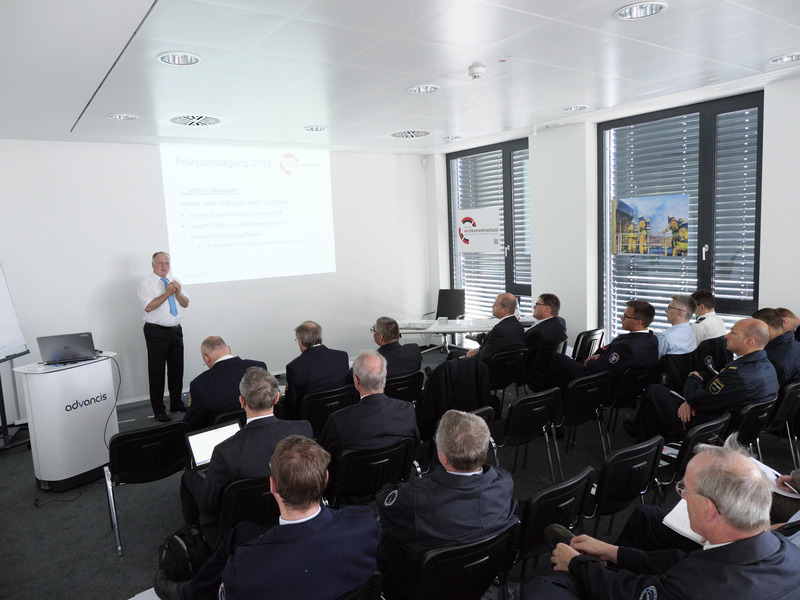 Mr. Ralf Klotzbach (Board Member of the Association of the Hessian Plant Fire Brigades) moderated the exciting presentations with regard to security management, technical innovations in fire protection as well as concerning apprenticeship and junior staff within plant fire brigades. 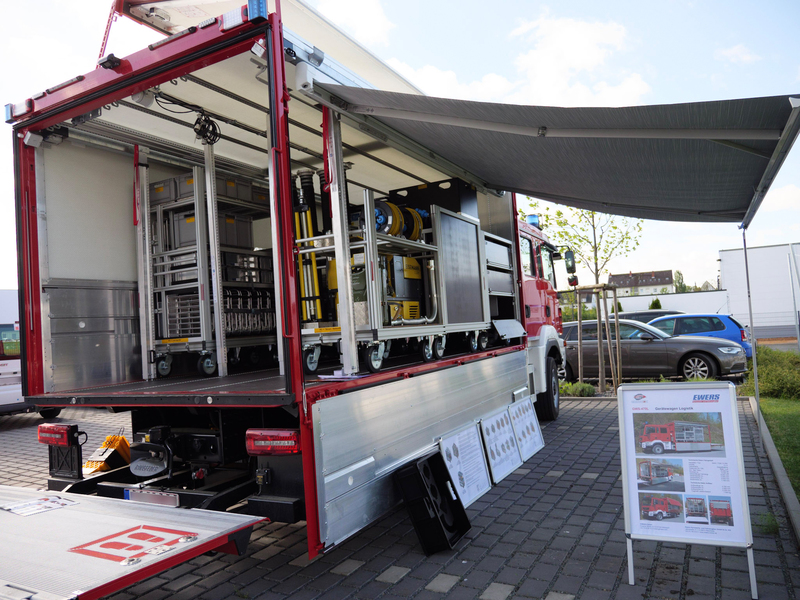 We would like to particularly thank Mr. Bernd Saßmannshausen (1st Chairman of the Hesse Plant Fire Brigade Association), Mr. Harald Uschek (State Fire Director, Ministry of the Interior and for Sports) as well as the numerous exhibitors who significantly contributed to the great success of the event with both their presentations and the accompanying exhibition.